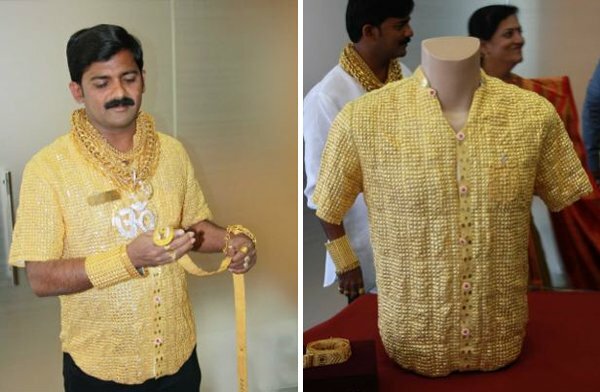 India’s very own Midas, Datta Phuge, in a rather misguided attempt at impressing the ladies, has commissioned a shirt made entirely of gold. 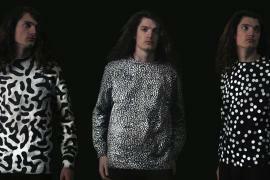 The shirt took 15 goldsmiths a total of two weeks to construct, and comes complete with matching cuffs, a belt and a set of rings. 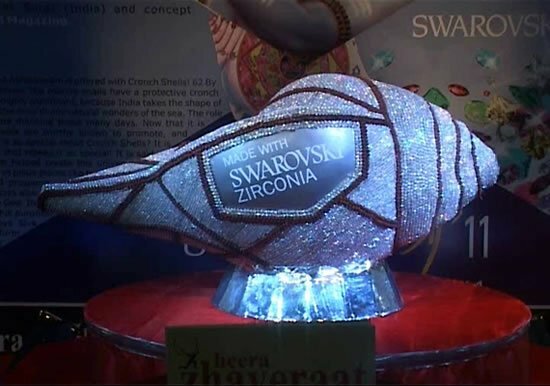 The goldsmiths worked 16 hours a day on this gaudy creation that cost a total of $22,400. 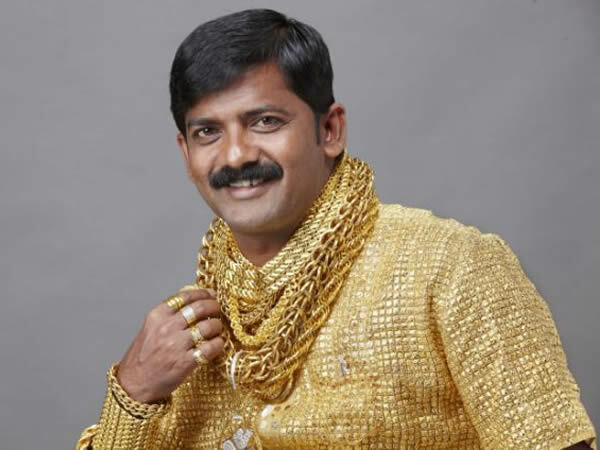 Phuge, aged 32 said, “I know I am not the best looking man in the world but surely no woman could fail to be dazzled by this shirt?” Hailing from Pimpri, Chinchwad, Phuge, a moneylender by profession hopes that this 3.2kg gold shirt will help establish his credentials as the ‘Gold man of Pimpri.’ The base of the shirt has been created out of imported white velvet with the gold assembled on top of it; the buttons have been made with six Swarovski crystals. 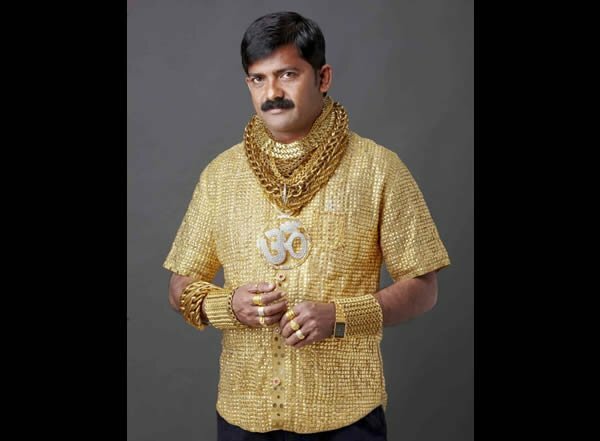 In 2011 we saw designer Amitabh Chandel create a shirt made with solitaires, this shirt made entirely of gold however take it’s to a whole new level.